The importance you regard this decision with does not matter; what matters is that you know the pros and cons of both options. Why Choose A Faux Tree? Some people have an easy decision when it comes to choosing between an artificial tree and a real one — family members who have allergies to pine needles and sap leave them no choice at all. In such a situation, choosing to purchase an artificial tree will allow you to still enjoy Christmas traditions without putting a family member in discomfort. 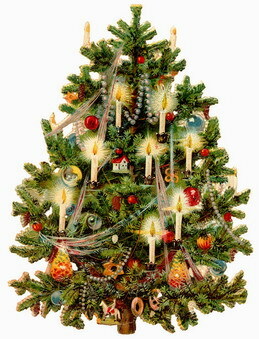 An artificial tree can be used year after year. And, even though people criticize artificial Christmas trees for being untraditional, many families develop traditions and rituals that revolve around their artificial trees. A decorating routine or assembling tradition can be established with an such a Christmas tree just as easily as with a real Christmas tree. Real Christmas trees can be purchased from a lot or from a Christmas tree farm. Real trees provide things that the faux trees cannot, such as the scent of pine forests. Real trees are also a great choice because, unlike artificial Christmas trees, they are biodegradable. The plastics and metals that faux trees are made from are damaging to the environment, and there is no proper way to dispose of them. Besides taking up space in landfills, fake Christmas trees can sometimes catch on fire and release environmentally damaging fumes. Such consequences, when compared to those of selecting an environmentally-friendly natural Christmas tree, do not seem to be worthwhile. Unless allergies or asthma must prevent you from enjoying a real Christmas tree, some will say you should avoid artificial ones in order to protect the environment. Real Christmas trees can be found all over the place throughout the holiday season — at grocery stores, in catalogues, in tree lots, and at Christmas tree farms. Where you get your Christmas tree and whether it is real or fake should take a back seat to other more important considerations. What really matters is the memories you make.